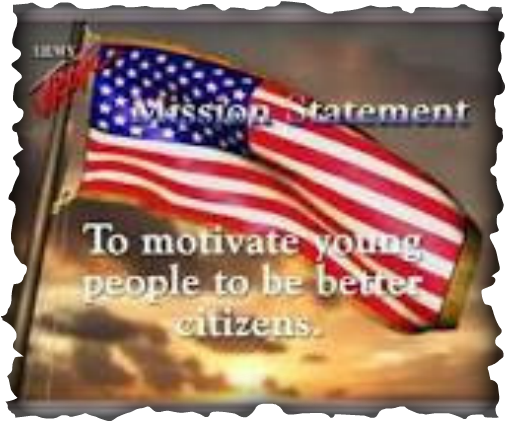 This is the Mission Statement which we, as JROTC Instructors, live by. We instruct our students in many different, yet equally important, fundamental life subjects. We teach them how to perform first aid, speak in front of crowds, apply for jobs through resumes and interviews, how to write papers, and lead their fellow cadets in events such as parades, funerals and weddings. The students that are placed under our care learn how to be mature, understanding adults. Many are given positions of great respect and authority, since the JROTC Program is student lead. Many cadets are given specific jobs relating to adult jobs. As JROTC instructors we expect effort and respect from our cadets, not only during class but when they are also released back into parental care after school. JROTC cadets often treat their fellow cadets as family, protecting and standing up for one other in ways that is often unheard of in young people today. We involve our cadets in the community with events such as Homecoming, football games, sports and a wide variety of community service opportunities. They are given the opportunity to involve themselves in activities such as Whitewater Rafting, JCLC (summer camp), Drill Team, Raiders, Honor Guard, Rifle Team and Color Guard. Cadets are not expected to join the Armed Forces of any branch after graduation. However that is always an option open to them. This course is not focused on recruiting soldiers, but it is focused on teaching students how to become a better citizen in the lives of their community, families and, most importantly themselves. The Cadet Creed is ingrained into our students minds by helping them to perform the goals stated in the Creed. Our students are taught to not only keep to these goals while in their JROTC class, but to perform them in their communities, and their homes. Our students are pushed everyday to strengthen their minds and their bodies through our program, and our programs teams. The cadets push themselves and their fellow cadets towards perfection, all while distilling a sense of respect and pride in themselves, and each other.